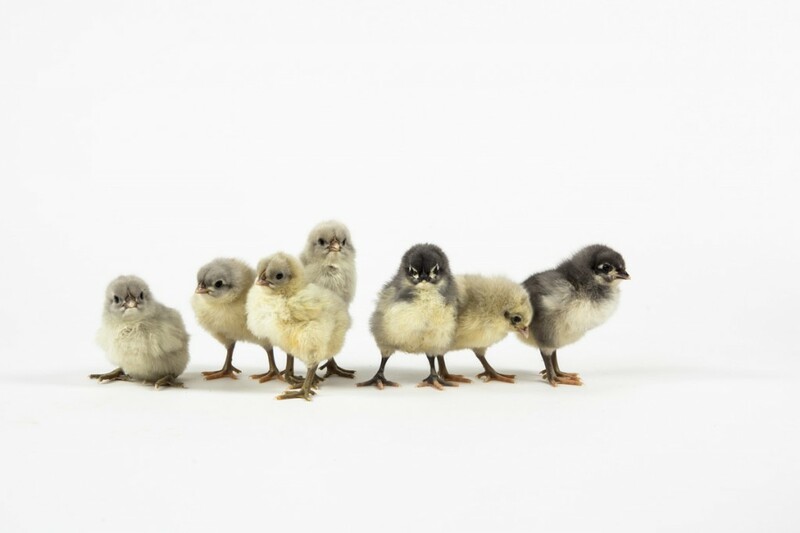 Why is spring the traditional time to begin raising baby chicks? The main reason is that, in the past, chickens simply laid fewer eggs than they do today—and their top laying season was in the spring, so more eggs were available then for hatching. However, since modern chicken breeds have been selected for higher production and near-year-round laying, we can now choose to raise chicks almost any time of year. Fall has some important advantages! Raise chicks in the fall? You bet. You can start your laying flock as soon as NOW! The number one reason to raise chicks in the fall is that your pet chickens will be the right age to begin laying the next spring, so they lay wonderfully once they begin since it’s seasonal for them to lay more eggs in the springtime as the days are growing longer. It’s glorious! So far, we’ve been unable to teach them to adorn their nests with spring flowers. If you’ve chosen breeds that are excellent layers (such as the Rhode Island Red, the Australorp, the Speckled Sussex, and so on), each young bird could be laying as many as seven eggs a week . But even breeds that are fair or poor layers will be laying at their top speed. And believe me, those first backyard eggs you get from your own flock will be the best you’ve ever tasted! You’ll probably be eating more eggs, not only because you’ll have so many, but because they’re so delicious–so having your chickens laying lots of eggs is wonderful, since you’ll have plenty to use. A second important advantage you get when you raise chicks in the fall is that–if you start them in early fall–their laying is delayed until your birds reach a larger size. While you’d not initially think of this as an advantage, they will lay generally larger eggs throughout their lives, and they’ll lay with more consistency when they experience increasing daylight at the right age. If I begin laying now, I may as well start laying snow balls. 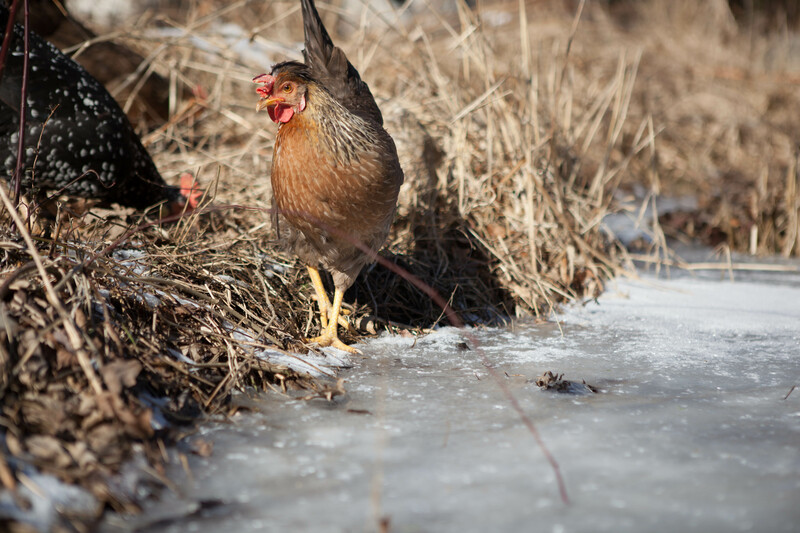 There are advantages to starting chicks in the spring, though, especially in the north. When you start chicks in the spring, it’s warm (or at the least warmER) outdoors when chicks are old enough to move outside. This means the transition from brooder to coop is much easier, because they’ll be moving from their (by-then) room temperature brooder to similar temperate weather outside. But the traditional problem with spring-raised chicks is that, just as they begin laying, the daylight hours are growing shorter and signaling them to lay fewer eggs during the winter season. This means spring-raised chicks will be producing eggs quite sporadically for their first few months of laying, in comparison to fall-reared chicks. If you do decide to raise chicks in the fall, the most important thing to remember is to be prepared to provide temporary supplemental heat to help your young birds transition to cold outside weather. it’s good to hear that w finally got around to stop talking about chickens and got some. Four actually, from you guys. I seem to have the best of luck regarding my timing when getting into new things like this. Blue Favaucana. We only wanted to start with the pair and build a flock from there but had to order 4 to meet the minimum. I decided to get the mixed rare since it was more cost effective than spending another 50 bucks on 2 more blue hens. There were no salmon hens available at the time or I would have considered that. I would really like to know what breed my randoms are so I can decide now If I want to keep them or give them away. I’m only interested in hardy good tempered reliable layers. Do you know if the company can tell me what breeds got tossed in with my blues or do they just grab whatever and not keep track? I have a suspicion that I got a bonus blue because the 3rd looks very similar to the other two with he slightly feathered feet and the similar coloring but she has much more black in her coat than the other two but seems to have strong traces of the blue/grew fuzzy feathers near the wings and the yellow details on and around the beak but with a mostly black beak and face. The fourth is a pure yellow with no foot feathers and 4 toes (counting the rear?) and a slightly more aggressive attitude towards the other 3 that I am not sure if I like or not. If she is going to grow up to be a bully we don’t want her for sure. Any help a advise is greatly appreciated. Just ordered your book! Hi, Mike! I’m sorry, but we don’t keep track of which breeds are used to fulfill assortments. We have a few different blue varieties with feathered legs, including of course the Blue Favaucana (definitely a possibility! ), and also Blue (Splash) Marans, Blue Cochins, Blue Copper Marans, and Blue Silkies. We can sometimes help you guess what breeds you received if you can send us a good photo or two; email info@mypetchicken.com with your photos. I’m loving my late summer/fall chicks so far! At 3 1/2 weeks old, they’ve hardly used a heat lamp at all and already spend most of their time outside. This is the first time I’ll be able to transition chicks to fully living outside at 4 weeks old. Before, I’ve waited until 7-8 weeks and warmer spring temperatures. I guess that, even as temperatures drop, the lingering summer warmth in the air is more comfortable for them than the spring chill! Is October 20th to late to get chicks for the fall? If you have a safe, secure brooder with the proper warm, dry conditions for your baby chicks, if you choose breeds appropriate for your area, and if you’re prepared to make the extra effort it takes for the transition them from brooder to coop in your particular climate, I’m not entirely sure I understand what you’re asking. October 20 is in the fall, at least in the northern hemisphere. 🙂 Since most breeds start laying at about 6 months old, your girls would probably begin laying in April-ish. Does that answer your question, or do you have some other concern? Received both shipments (August 2014 with 32 chicks total) and the chicks have joined our established flock out in the barnyard this week. ALL 32 of the chicks survived and are adapting nicely to our cool NW Montana Fall evening temps. Can’t wait for the “egg boom” this spring! I wish I had gotten more chicks this fall——I would have loved more eggs in April…. If you wait too late, they are all gone! Tomorrow I will stop procrastinating……. We’ve thought about doing this several times but have never intentionally implemented it. Our experience is also that spring, especially late spring, chicks in AL are difficult to keep warm without overheating as our summer heat & humidity ramps up. Almost mid-July right now, and we have chicks nearing 8 weeks old that have already been without daytime heat lights for probably about 6 weeks. We turn the heat light on at night, but it’s just too hot during the day to use it! We’ve found it’s much easier to keep them warm than it is to keep them appropriately cool.